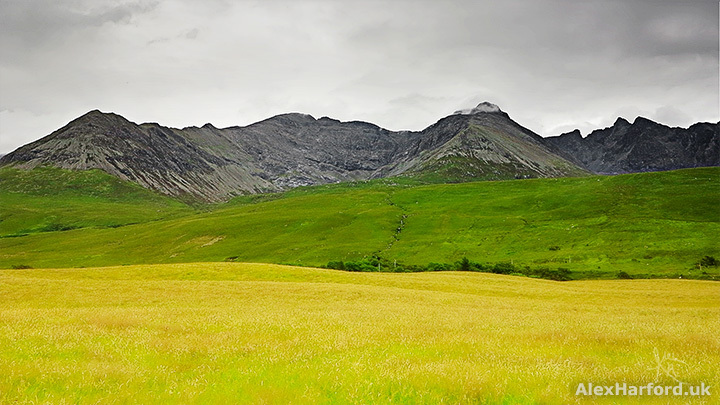 At 992 metres, Sgùrr Alasdair is the UK's highest peak away from the mainland, and in terms of prominence, the fifth highest in the UK. 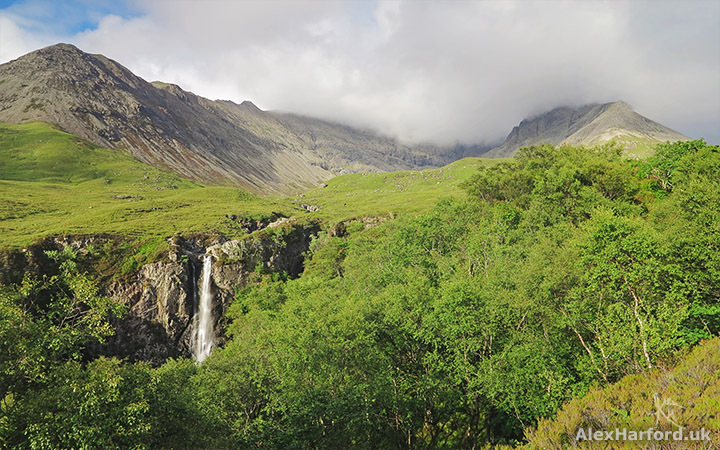 By the time I arrived on the Isle of Skye, I'd climbed the highest peaks on all but three of the 20+ Hebridean islands I'd visited. I hadn't planned to climb them all, but when I realised I'd climbed so many, they all became a target. My one attempt that ended in failure was Ceann Uachdarach - on the island of Vallay - a peak that's only 3.8% of Sgùrr Alasdair's height. You read that right: Ceann Uachdarach is only 38 metres high. Appearances can be deceiving though - the only time my hat's blown off on a summit was on Berneray's 93m-high Beinn Shleibhe. So was Vallay's highest point impossibly steep or rocky? Nope. The street I lived on was steeper and higher, and Vallay's highest point is reached by grassy and gentle slopes. 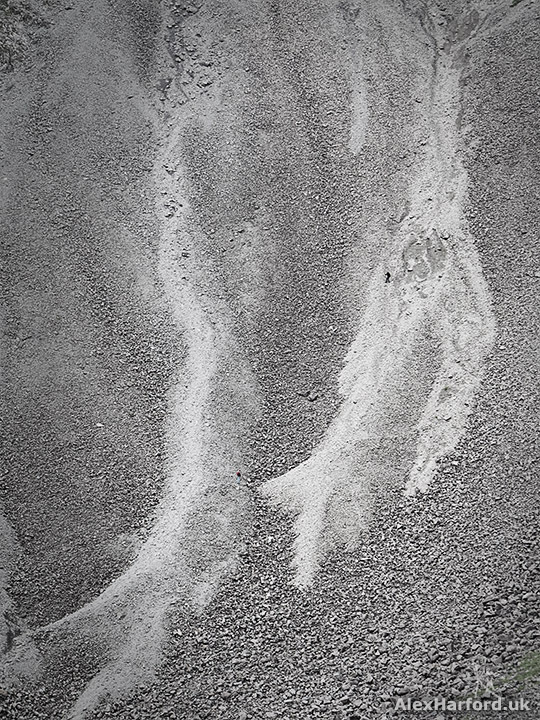 The island can only be accessed on foot or wheeled transport when the tide is low, so did the tide catch me out? Nope. But the peak's slopes were patrolled by a bunch of bulls and cows. As there were plenty of calves, I didn't want to risk it. Back to Sgùrr Alasdair, and I was having doubts. 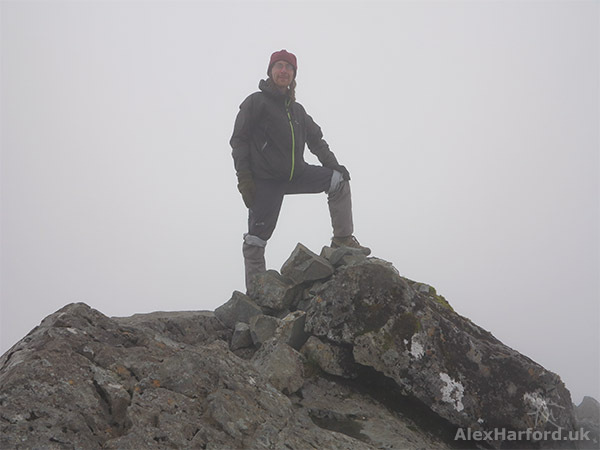 Tiredness had hit me, and I'd read Sgùrr Alasdair's scree climb and scramble to the peak could be tough. 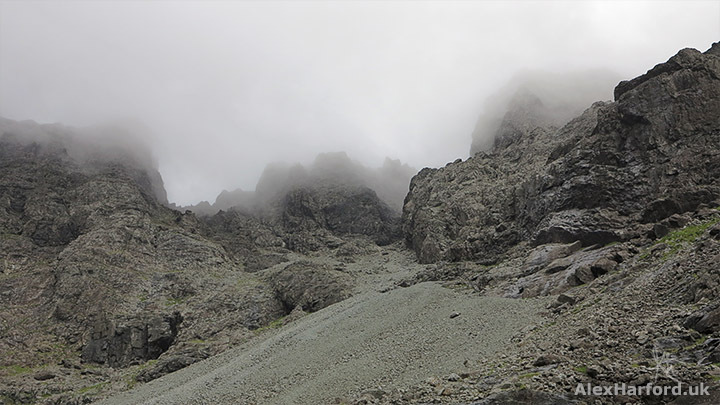 There were three nearby appealing and easier walks in my 50 Walks book, and the Mountain Weather Information Service only gave a 40% chance of cloud-free summits above 900m, with probable rain showers. The reason I decided not to leave Alasdair for another year? 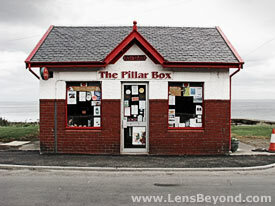 It's Gaelic for "Alexander" (my name). 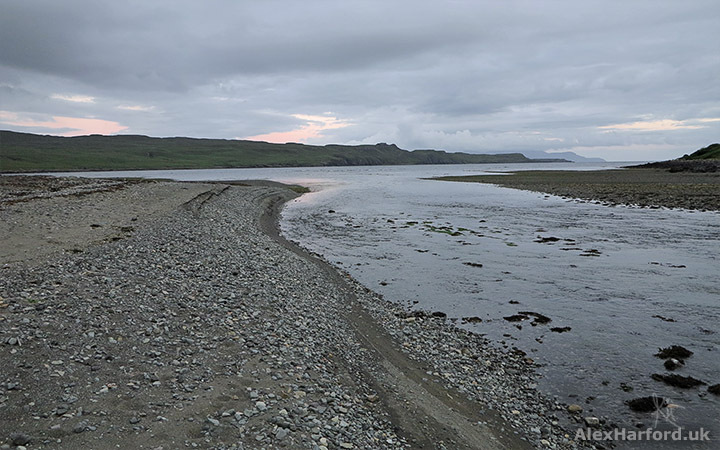 My walk started by taking the track to the left of the toilet block at Glen Brittle's campsite, and when the track forked, heading away from the coast and towards the mountains. 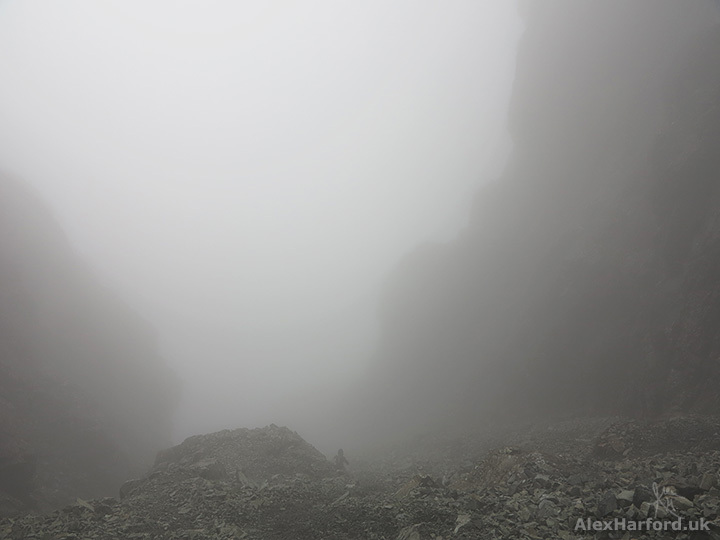 As I climbed the Great Stone Chute (see photo below) on all fours, the clouds lowered and visibility reduced. I caused a mini avalanche, and having heard someone climbing below (who I couldn't see due to cloud), waited for them to catch up. 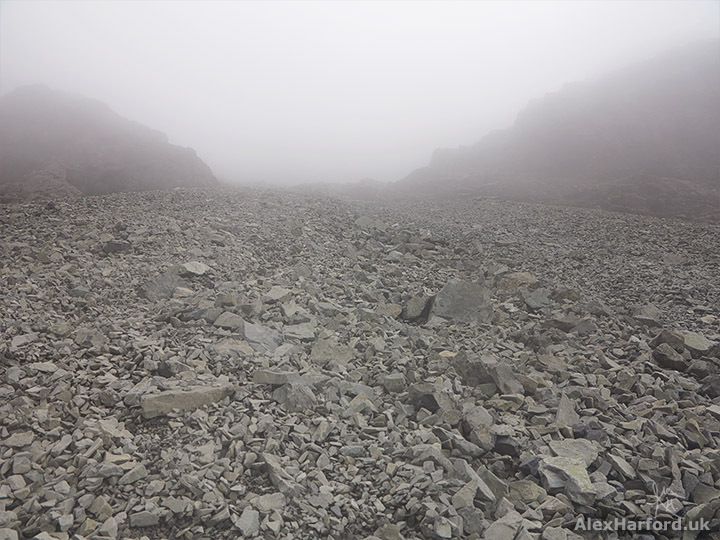 It was an Australian guy who hadn't planned to climb Sgùrr Alasdair, but decided it'd be fun to follow me after seeing my backpack's yellow rain cover. 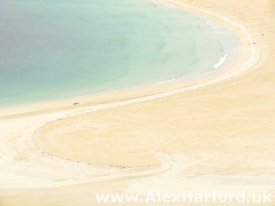 Even after enjoying numerous solo walks in the Outer Hebrides (during two months there), it was great to have company. 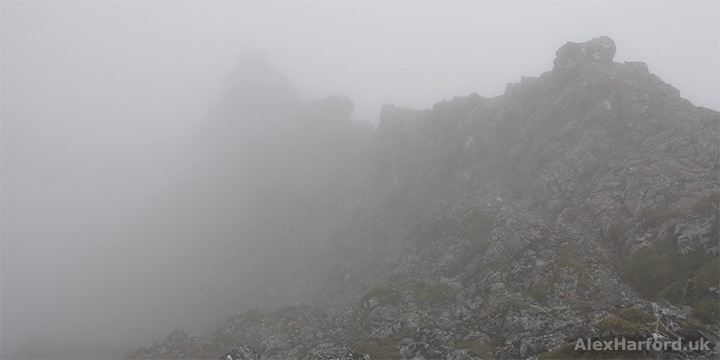 Although visibility was poor, it cleared enough to see across to Sgùrr Derg, home of the famous Inaccessible Peak. 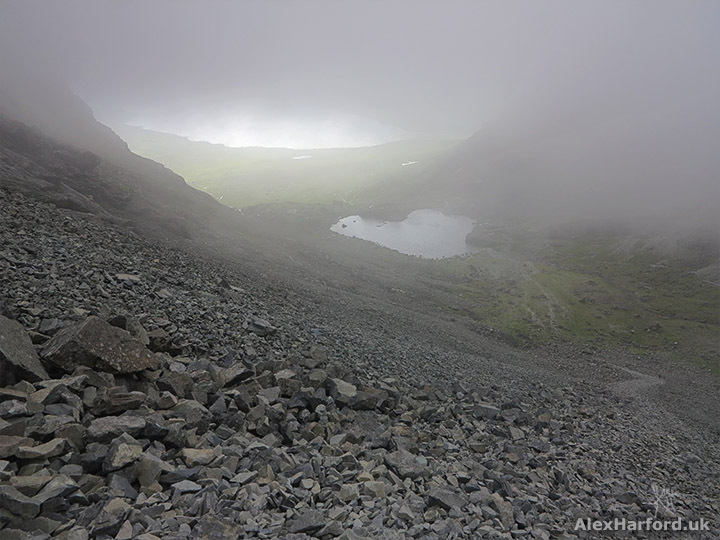 Two walkers were descending that scree slope. Can you spot both? 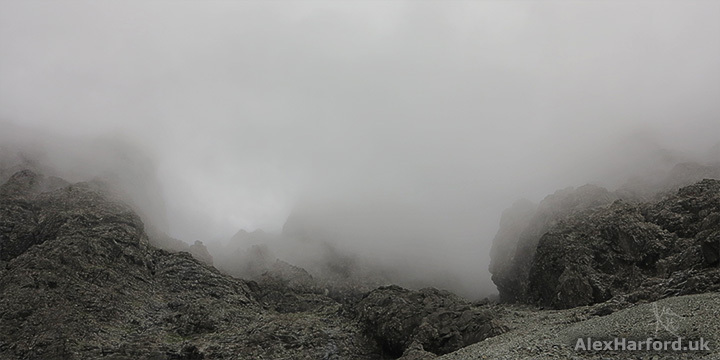 After the Great Stone Chute, we rounded the summit and headed up the eastern ridge to what we hoped was the summit. 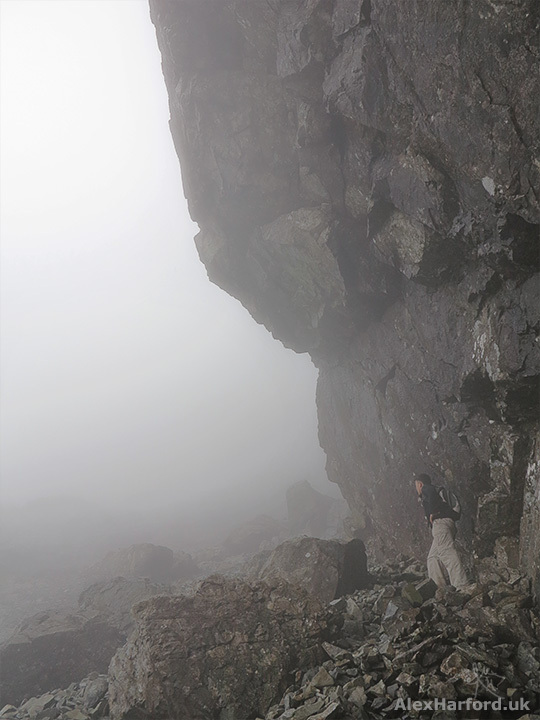 Despite being wet in parts, the gabbro rock Sgùrr Alasdair is made of is grippy, and I found the scramble (rated Grade 2) to be straightforward. The lack of visibility probably helped my complete lack of vertigo, and by this point, I'd forgotten I started the day feeling tired. 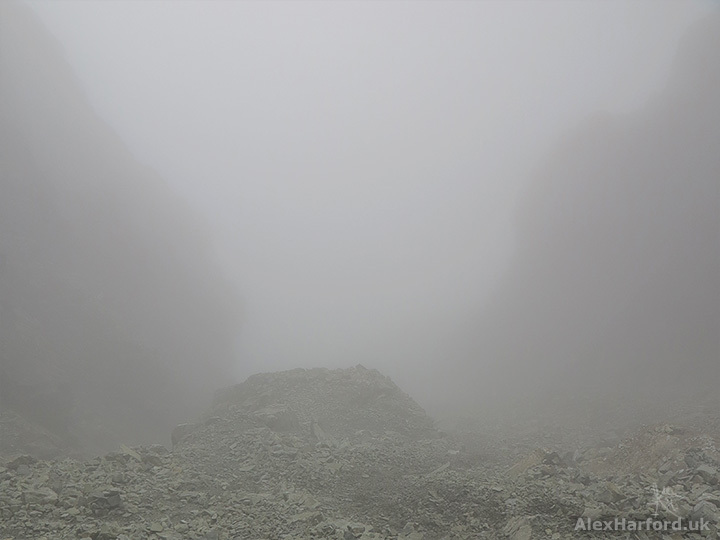 We waited below the summit for a while, hoping for views, as the weather forecast predicted the cloud level would rise later in the afternoon. But despite an area providing shelter from the wind it was getting cold up there, so we decided to head to the summit before descending. 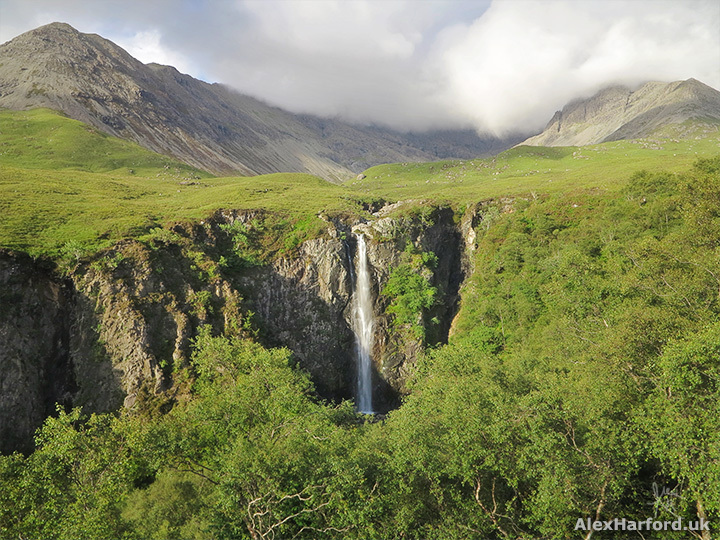 After descending Sgùrr Alasdair and reaching Coire Lagan, I was excited about seeing the waterfall, Eas Mòr. 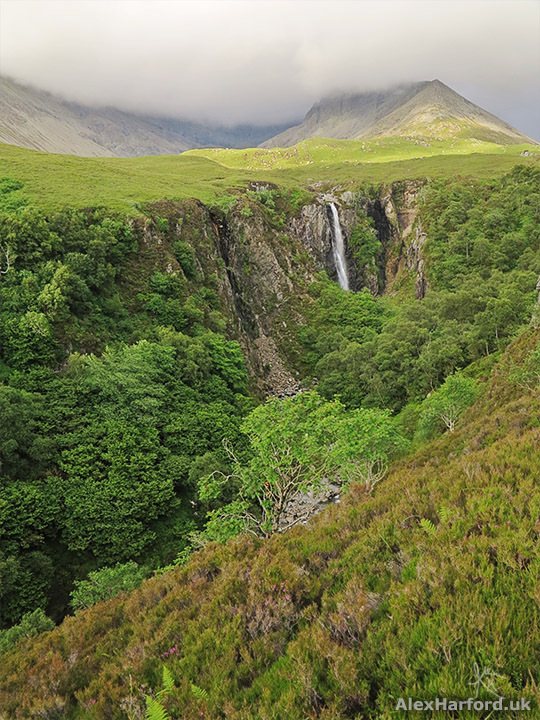 A literal translation of Eas Mòr is "waterfall big," so I'm technically wrong heading this section as "Eas Mòr Waterfall." 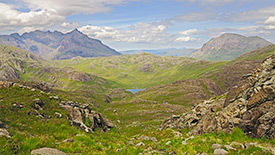 Eas Mòr is reached by heading right when the track from Coire Lagan forks. No photos had prepared me for how beautiful the location actually is, so you may have to indulge me for sharing too many photos of the waterfall. 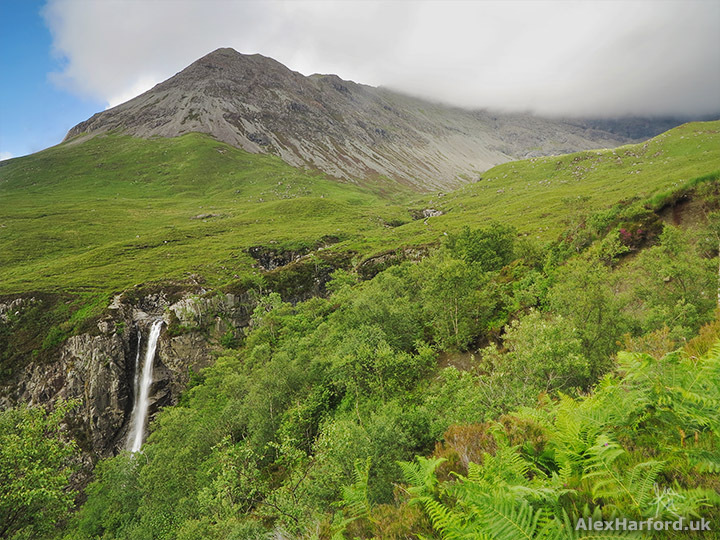 The verdant slopes, trees and ferns were a complete contrast to the dark grey rock of the Black Cuillin. 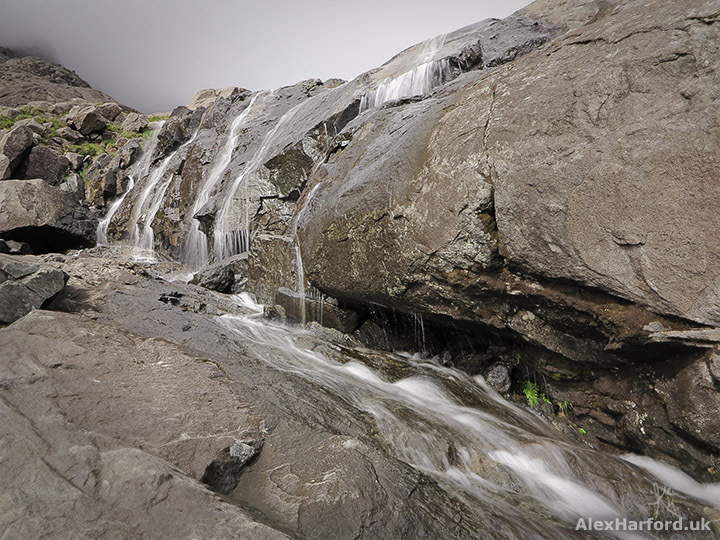 My favourite position to view the waterfall was head-on, with the symmetry created by background mountains either side. I'd taken a tin of spaghetti but forgotten my spork, so drank straight from the tin. The view made it more than worthwhile, and climbing Sgùrr Alasdair was so much fun I didn't care about the lack of view from the summit. 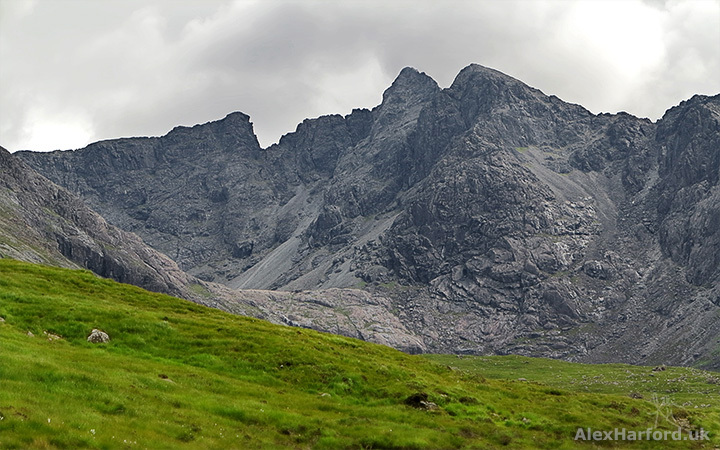 If you've wondered why Sgùrr features so often in the names of the Cuillin Mountains, according to The Gaelic origins of place names in Britain, by Ordnance Survey, it's a very appropriate word, meaning "rocky peak, sharp steep hill." I ended the day relaxing on the beach beside the River Brittle. 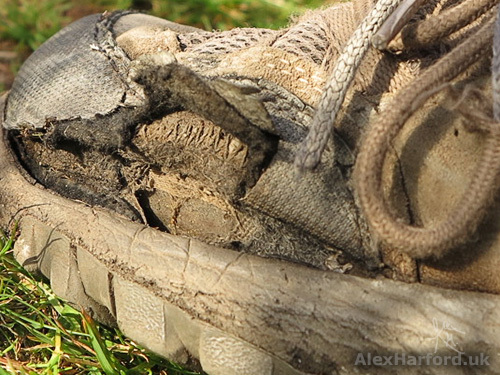 None of my walks on this website are intended to be a substitute for a map, compass and experience in mountainous locations. It's worth noting the rock in this area has a high iron content, so compasses may give faulty readings.